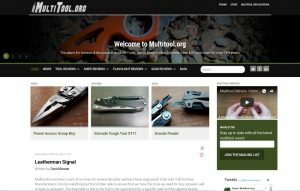 Some time in 2010 before I worked on the forum redesign I updated the core back end of the Multitool.org main site that had been somewhat neglected for some time, adding a new theme and bringing the overall design forward a few years from the old setup. A great deal of reorganization of content and general cleanup was required but was worth it for the end result. That was later updated to a newer core and even newer design, with even more bells and whistles.